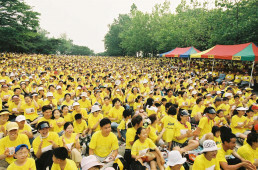 On July 6, 2002, when the whole nation was excited about the World Cup, numerous people in red shirts streamed to Gwanghwamun to cheer the Korean soccer team, but many other people in yellow shirts headed for Mount Namsan to practice love for neighbors through the New Life Welfare Walkathon. 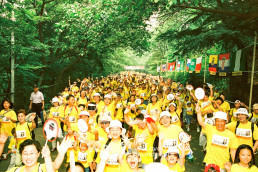 The 1st New Life Family Walkathon was held to wish for a successful World Cup and to save life. The walkathon, which about 11,000 members attended was a great success. 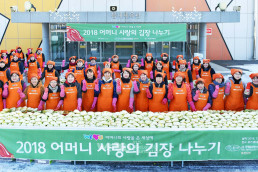 The walkathon started from the Baek-bum Plaza in Mount Namsan. 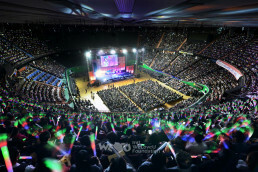 Many parents brought their children to let them realize the value of life and family love. 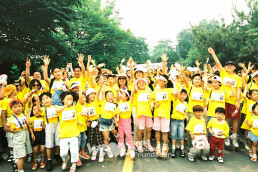 Thanks to the walkathon, four children with congenital heart disease including Kim Gyeong-hwa could obtain a new life. 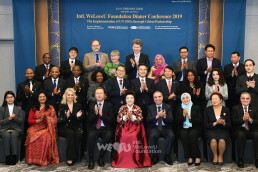 After finishing walking, the foundation members attended “I Love Children’s songs” which was one of the programs of KBS’ “Into the World of Children’s Song.” Chairwoman Zahng Gil-jah awarded prizes at this children’s song contest.